Paul Jorgensen chases after a loose ball. Jorgensen scored six points in the loss. Jimmy Lafakis/Collegian file photo. The Butler men’s basketball team suffered its second defeat in a row, losing on the road to Creighton, 75-61. Butler led for all of 65 seconds in the game. Here are three takeaways from another frustrating defeat. 1. The Bulldogs defended the 3-point line and nothing else. Butler took away Creighton’s greatest weapon again, holding the Bluejays to 30 shooting from deep. Creighton came into the game second in the country in three-point percentage, knocking down 43 percent of its attempts. When the Bluejays go 3-of-11 from three in a half, they should not be putting up 40 points like they did in the game’s opening 20 minutes. Butler’s interior defense was so poor that Creighton was still able to take a six-point lead into halftime. The Bluejays made 75 percent of their 2-point field goals in the first half and 65 percent in the game. That lack of rim protection makes it almost impossible to win on the road, regardless of how well Butler guarded the perimeter. Time after time, Creighton drove the ball to the basket without any real resistance. The Bluejays got the shot they wanted on almost every possession, be it a three or a layup. They dictated the terms in a game in which they had no business doing so. Butler has to make sure that never happens again. 2. Butler got contributions from a wide cast of characters but no second scorer. The Bulldogs’ first seven field goals were made by seven different players. By halftime, nine Bulldogs were on the scoreboard. Butler’s bench outscored Creighton’s by 12 and five Bulldogs ended with at least five points. While all of those numbers are promising, Butler’s second-leading scorer only had nine points. Jordan Tucker and Paul Jorgensen were a combined 5-of-22 from the field. Kamar Baldwin got his team-high 23 points on only 12 shots and even with the balanced scoring attack, it wasn’t enough to come away with the win. For Butler to perform well enough in its final 10 Big East contests to make the NCAA Tournament, it needs meaningful contributions from six or seven players every game. It also needs a legitimate second scoring option behind Baldwin. There is not enough raw talent on the roster for the Bulldogs to win on a regular basis without both of those things happening. At different points during nonconference play, Jorgensen and Sean McDermott were playing the best basketball of their careers but haven’t looked the same since Tucker’s arrival. Butler could sure use a resurgence from one of them. 3. This is not an NCAA Tournament team right now. At 12-9 overall and 3-5 in the Big East play, Butler’s resume and the eye test agree the Bulldogs aren’t going dancing. The same problems — lack of an interior presence, stagnant offense, poor performances on the road — continue to persist. With trips to Villanova and Marquette in the final third of their conference schedule, the Bulldogs’ next three games have essentially become must-wins. An NCAA Tournament berth will require a perfect home record the rest of the way and a bare minimum of two road victories. Butler still struggles to create easy shots in the half court. 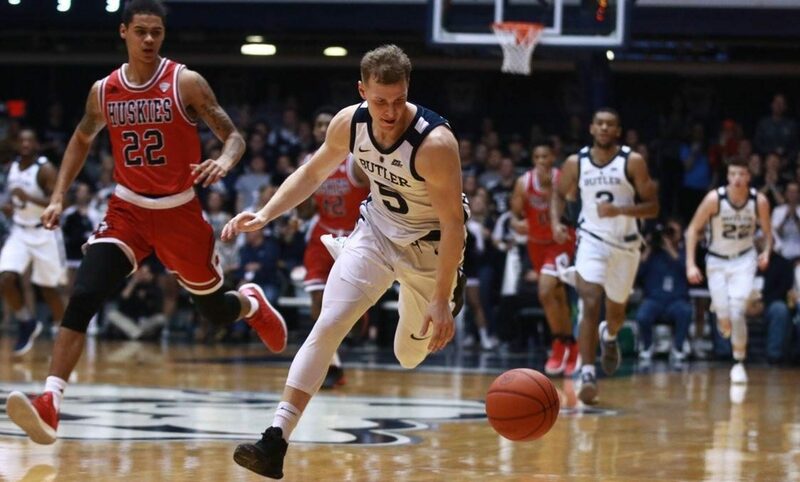 Its transition offense is virtually nonexistent unless the Bulldogs win the rebounding battle, which they haven’t done in four of their past six games. Butler could have easily started Big East play 3-1 but went 1-3 instead. The Bulldogs are 2-2 since. Those winnable games they let slip away have to be made up for at some point. Unless a completely different Butler team shows up starting Jan. 30, the Bulldogs aren’t participating in March Madness.